Tens of thousands of people are forced to flee their homes each day due to conflict and persecution, according to the UN Refugee Agency. More people around the world are displaced now than ever before. 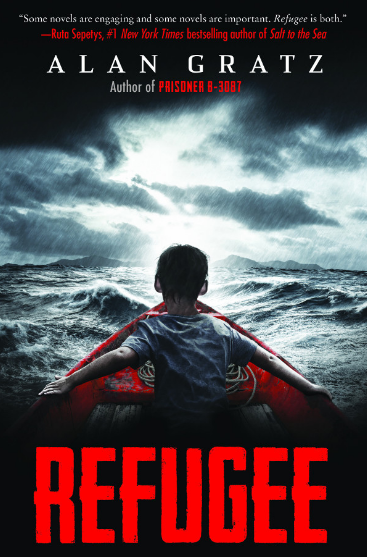 Host Frank Stasio speaks with young-adult fiction author Alan Gratz about his new book 'Refugee'. While war and international crises are often the subject of news reports, one Asheville-based author decided to explore the issue through a new lens: young-adult fiction. Alan Gratz is an acclaimed author whose new book “Refugee” (Scholastic Press/2017) tells the stories of three children seeking refuge throughout history: Josef is a Jewish boy in 1930s Nazi Germany, Isabel is a Cuban girl in 1994, and Mahmoud is a Syrian boy in 2015. Host Frank Stasio talks with Gratz about the book and the challenges of writing about sensitive topics for a young adult audience. Gratz speaks tonight at Flyleaf Books in Chapel Hill at 6 p.m., tomorrow at the BookMarks Festival in Winston-Salem and Sunday, Sept. 24 at Malaprop’s Bookstore in Asheville.